Singapore-based Cube Highways & Infrastructure Pte Ltd, a joint platform of private equity firm I Squared Capital and International Finance Corporation (IFC), has agreed to acquire a road project from IL&FS Transportation Networks Ltd for Rs 140.37 crore ($21 million). The transaction is subject to certain conditions and approval from authorities and creditors of Andhra Pradesh Expressway Ltd, IL&FS Transportation said in a stock-exchange filing. “This road receives fixed semi-annual payments from the National Highway Authority of India (NHAI) with no exposure to traffic volumes, and provides a good balance to Cube Highways’ existing portfolio of toll roads,” said Gautam Bhandari, director at Cube Highways and partner at I Squared. “We continue to evaluate numerous buyout opportunities in carefully selected highway and transportation assets, especially given the positive regulatory changes being implemented by the NHAI,” he added. I Squared has been increasing its exposure to India's infrastructure sector over the past couple of years. IFC, the World Bank's private investment arm, had in October 2014 committed up to $90 million of equity investment in a Singapore-based holding company of I Squared to acquire operating road assets in India. In April 2015, I Squared raised $3 billion in a global fund to invest in assets across several markets, including India. In August last year, it invested an undisclosed amount in Amplus Energy Solutions Pvt Ltd, an operator of rooftop solar power systems in India. Cube Highways has made three investments in India so far. These are the purchase of Madhucon Agra Jaipur Expressways Ltd in October last year for Rs 248 crore, the acquisition of Western UP Tollway Ltd for an enterprise value of Rs 575 crore and of Jaipur Mahua Tollways Pvt. Ltd, which operates a road project in Rajasthan, for Rs 525 crore. 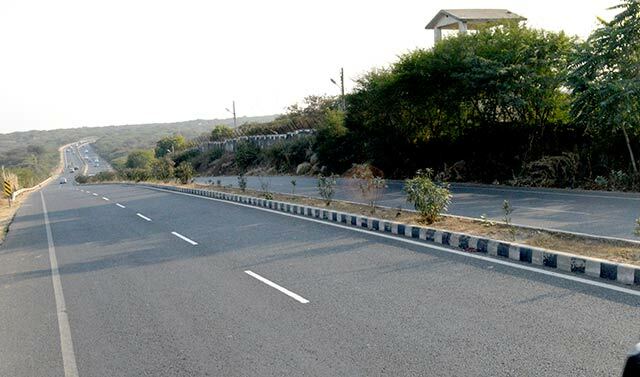 Andhra Pradesh Expressway has been operating a 75-kilometre four-lane road stretch on National Highways 7 across Andhra Pradesh and Telangana for seven years. “Once closed, this acquisition will diversify Cube Highways’ geographic presence and expand its portfolio to nearly 1,300 lane kilometers,” said Harikishan Reddy, CEO of Cube Highways. IL&FS Transportation develops, operates and maintains national and state highways, roads, flyovers and bridges in Andhra Pradesh, Delhi, Gujarat, Maharashtra, Karnataka, Uttar Pradesh, Kerala, Jharkhand and Rajasthan. It was listed on the bourses in March 2010.